Bridgetown (Barbados), Oct 16 (IANS/CMC) The West Indies Cricket Board (WICB) said it endorses the West Indies Players' Association (WIPA) as the sole body to negotiate on behalf of their players. WICB said they will only get involved in the ongoing impasse between the players union and the West Indies squad, currently playing in India, if invited to do so, reports CMC. The West Indies One-Day International (ODI) squad recently said that the Wavell Hinds-led WIPA no longer had the authority to speak on their behalf. 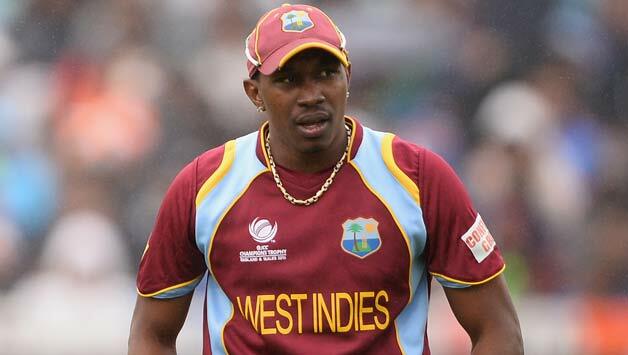 WICB president Dave Cameron, in a letter to players' representative and captain of the Windies team Dwayne Bravo, said that according to the recently signed Collective Bargaining Agreement (CBA) and Memorandum of Understanding (MOU), WIPA remained "the sole and exclusive collective bargaining representative recognised by the WICB" for all persons contracted to play for any West Indies team. "What this effectively means is that we will only engage in discussions relating to the welfare, working conditions and remuneration of cricketers with WIPA," the letter said. The Windies team had written to the WICB last week indicating they had lost confidence in WIPA and would seek an alternative bargaining agent. The players are upset with the terms of the CBA/MOU, which they have argued will result in a 65 percent decrease in their earnings. They said that Hinds, the WIPA president and chief executive, had not been clear on the terms of the newly signed CBA/MOU and stressed on their "collective determination" not to accept any contracts stemming from the agreement. But Cameron told Bravo the new CBA/MOU represented a step forward and was a departure from the "uncertainties and confusion" of past agreements. "I would point out that the new MOU/CBA creates a clear, sustainable, long-term compensation structure, so that we avoid the uncertainties and confusion associated with previous one-off negotiations on a case-by-case basis and the loose, informal arrangements of the past," wrote Cameron. "One of the major benefits of this structure is that players' compensation is based on players earning a percentage of WICB revenue, so that we are engaged in a true partnership where WICB benefits financially, the players will also benefit. "The agreement also creates the framework for WICB and WIPA to comprehensively address the use of players' image rights so that both WICB and the players may benefit in relation to such usage. Further, it creates the opportunity for players to earn substantial amounts based on merit by implementing financial rewards for on-field performances." Cameron said that WICB stood ready, following players' request for WICB intervention, to undertake any mediation role but stressed this would be governed by the terms of the CBA/MOU. "While we recognise that we may certainly be able to play a role in mediating the apparent issues between yourselves and WIPA, and are willing if invited to do so, we must make it clear to you that we recognise and respect the principles set out in the MOU/CBA signed by ourselves and WIPA Sep 19 and any involvement on our part could only be in accordance with that agreement," he said. The WICB chief urged the players to focus firstly on completing the current series against India before dealing "with your grievances at the appropriate time and in the appropriate manner as provided for by the rules of your association". The West Indies face India in the fourth ODI in Dharamsala on Friday. The series is tied at 1-1 after the third ODI at Visakhapatnam was abandoned because of cyclone Hudhud.